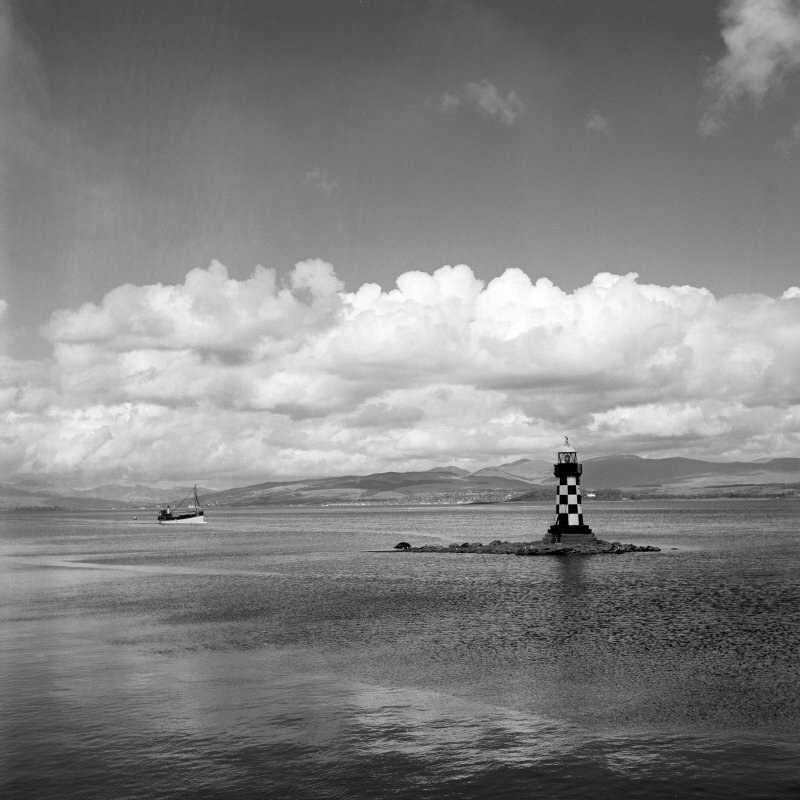 View of beacon, Port Glasgow. OS (GIS) AIB, July 2006. 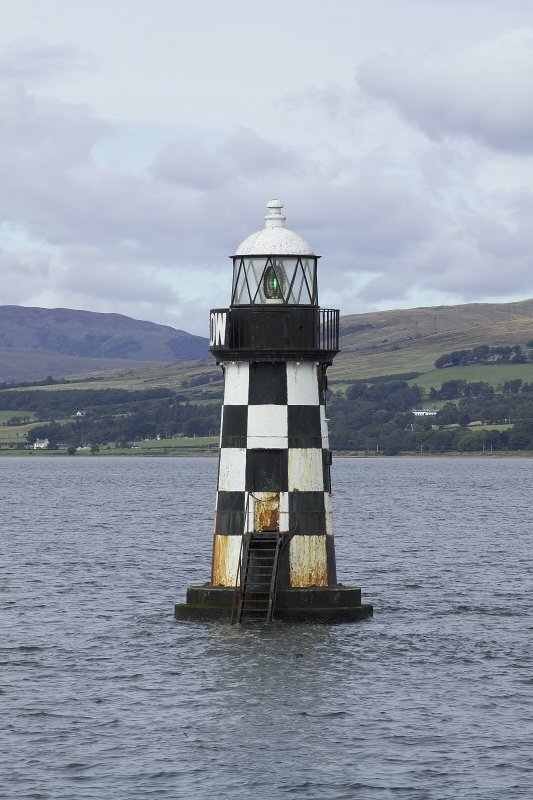 Formerly entered under site-name Port Glasgow, West Quay, Lighthouse, and classified as Lighthouse. 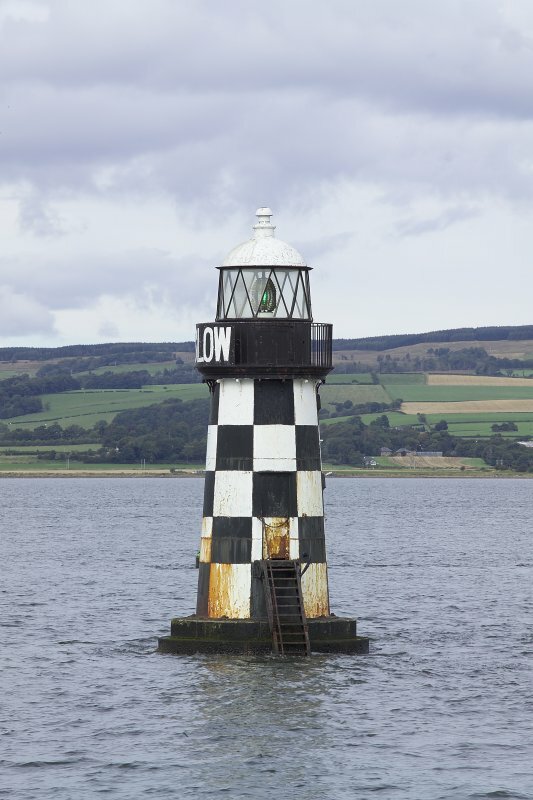 Not to be confused with (onshore) West Quay Lighthouse (NS 32051 74859), for which see NS37SW 150.01. Formerly also entered as NS37SW 171 at cited location NS 3220 7487. (Port Glasgow 2: location cited as NS 322 749). On half-tide rock ('the Perch') offshore: c. 1890. Squat tapered circular-section cast-iron tower on a four-tiered stepped base. Generally corbelled out, with plain railings. Cylindrical lantern with triangular panes, domed roof with mushroom ventilator. Ladder access from rock. Painted as Port Glasgow 1 [NS37SW 150.01].